Capture photos of all your Halloween fun, Costumes and Trick-or-Treaters and share them with personalized Halloween Photo Cards. 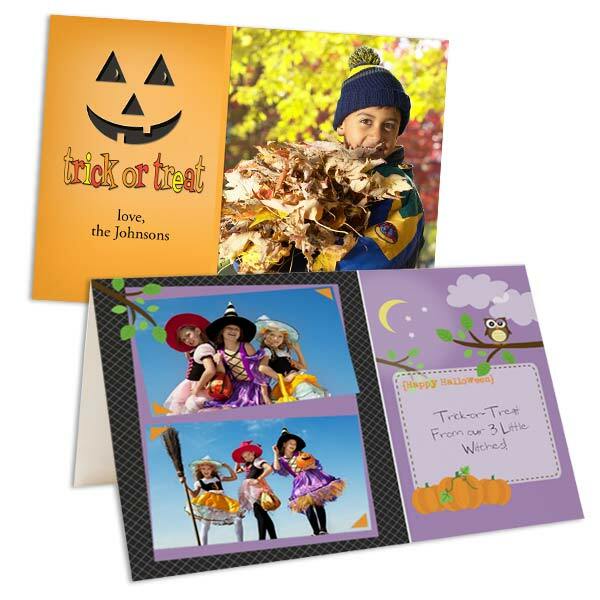 Personalized Halloween cards are a great way to stay in touch with family and those that aren’t so close. Share photos of all your parties and fall festivals, and send a custom card showing everyone all the fun times you’ve had. Create your Halloween photo card today!